Sterling silver necklaces are one of the popular types of fashion jewelry because they are affordable and come in many trendy designs. However, they can tarnish when they are not cared for properly and cleaned with harsh chemicals. That said, it’s best to use a warm water and mild dishwashing soap solution. A soft-bristle toothbrush will do for scrubbing the dirt. If the dirt and grime are stubborn, you can use a non-gel, non-whitening toothpaste. A safer alternative is baking soda and water solution. Apply a small amount of toothpaste or the baking soda solution and gently scrub the surface. Focus on the nooks and crannies as well as on the detailed areas of the piece. Rinse with warm running water and dry with a lint-free cloth. 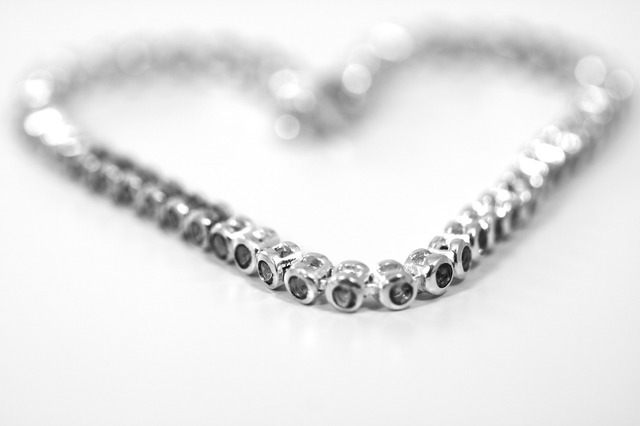 As with silver, you can clean gold necklaces with a solution of mild dishwashing soap and water. However, you should stay away from toothpaste and baking soda solution because they are abrasive on gold pieces. 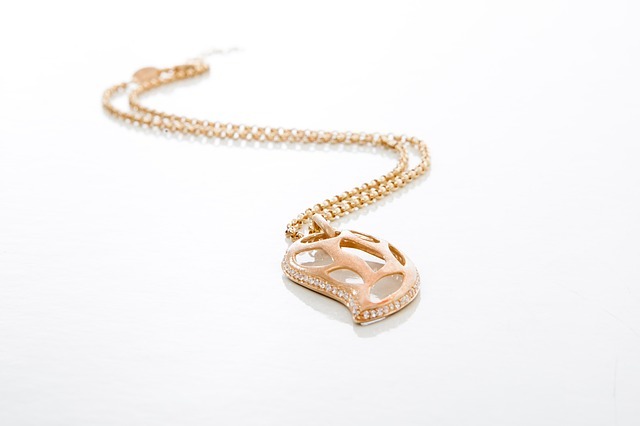 Ammonia can remove dirt and grime on the necklace if they cannot be removed by toothbrush and dishwashing soap. Do note that it is a powerful cleaner so it is not advised to use regularly. A safer alternative, believe it or not, is beer. You’ll just need a clean lint-free cloth then rub it on the necklace. Use the soft-bristle toothbrush to gently scrub the nooks and crannies and other detailed surfaces. Rinse with warm running water and dry with a lint-free cloth. 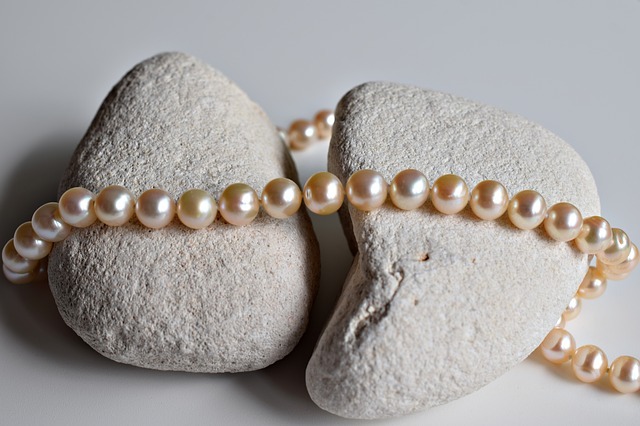 You have to be extra careful with pearl and other gemstone necklaces as they can be scratched very easily. That said, placing them on a necklace display while cleaning will help. Soap is not recommended as well because it can still damage the pearls. Fortunately, these necklaces do not get very dirty so cleaning them with a soft lint-free cloth will do. 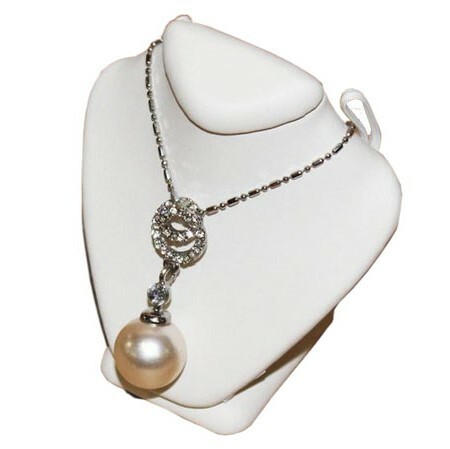 Handle the necklace gently, especially antique pearls, to avoid them breaking or getting cracks. 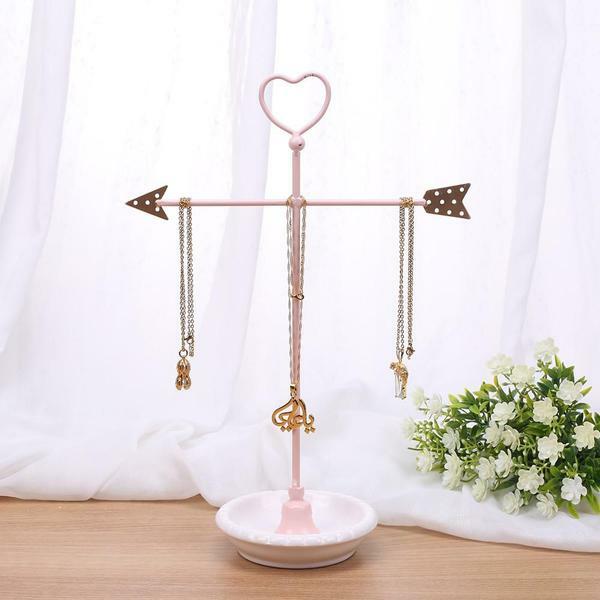 Showcase chokers and other short necklaces with these lovely necklace displays. 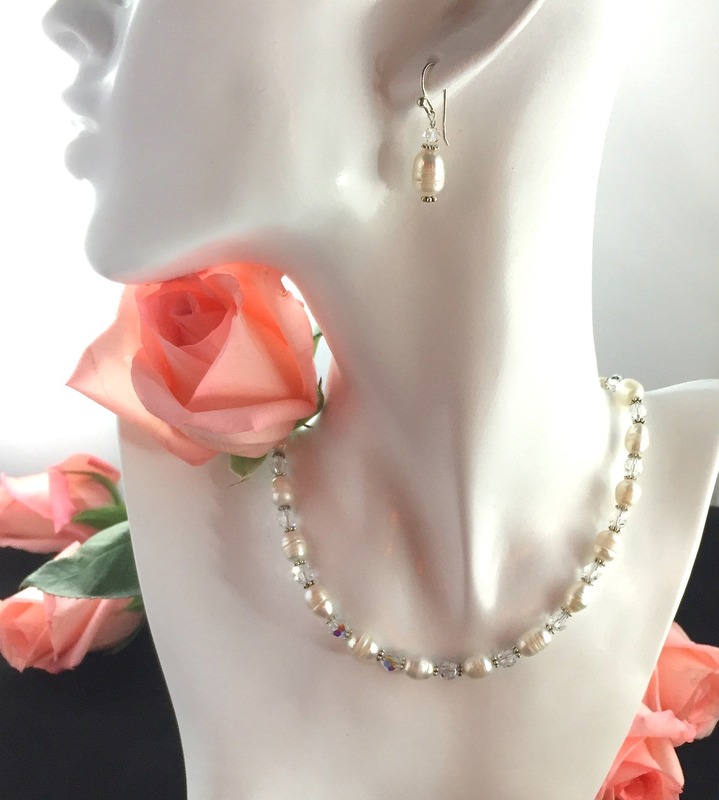 A few weeks ago, we turned the spotlight on to displays that are ideal for long necklaces. We figured that we should highlight ones that are ideal for shorter pieces too since some customers are not fans of long chains. Although these pieces can be displayed on the same busts, it is perfect to place them on ones that are shorter and smaller. And with that said, here are five necklace displays that are perfect for the chokers and shorter necklaces in your inventory. 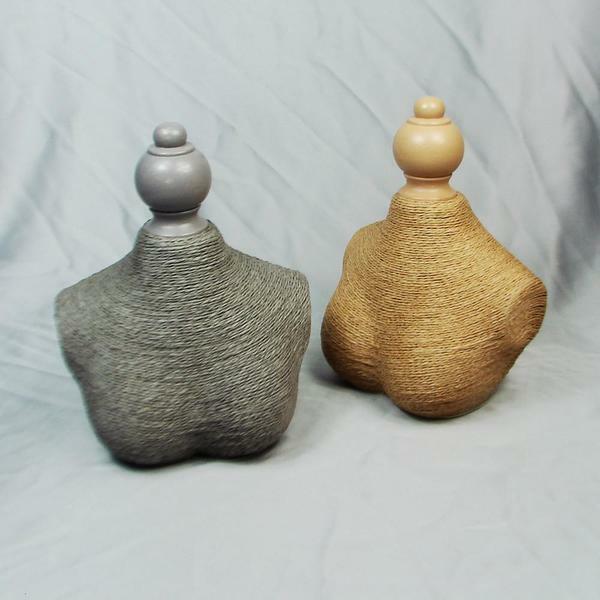 The Gray Linen Necklace Display Bust can make any necklace look even more elegantly rustic. 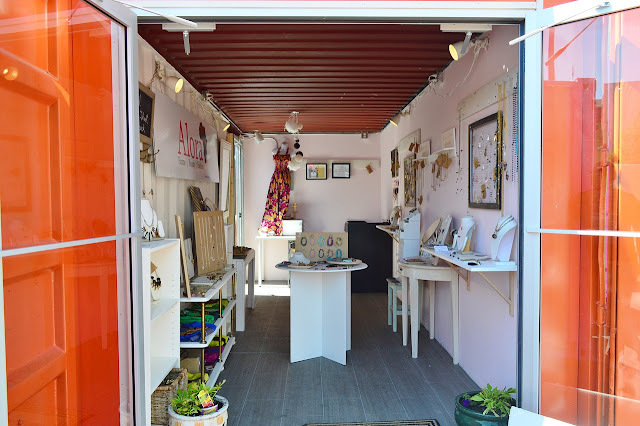 It is made of sturdy wood and covered in soft natural gray linen that makes any piece stand out, especially necklaces with sparkly gemstones. The Gray Linen Necklace Display Bust comes with adjustable hooks at the back so it can also hold longer necklaces. 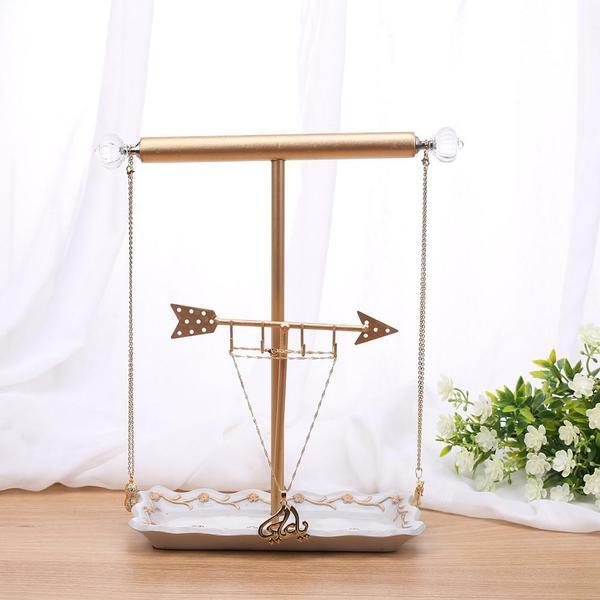 Its size dimensions are 4"W x 3 1/4"D X 6 1/4"H.
The Necklace Bust Display with Adjustable Stand is the bust display best for highlighting a special piece. The neck form is made of sturdy wood, and it comes with an adjustable stand, allowing you to showcase the piece at different angles. It also features hooks at the back to adjust the length of the necklace. The Necklace Bust Display with Adjustable Stand is available in black velvet, black leatherette, and white faux leather. Its size dimensions are 4 3/4"W x 4 5/8"D x 6"H.
The Paper Twine Wrapped Mannequin Display is the display perfect for non-metal pieces such as the Bohemian-inspired shell or gemstone necklaces. 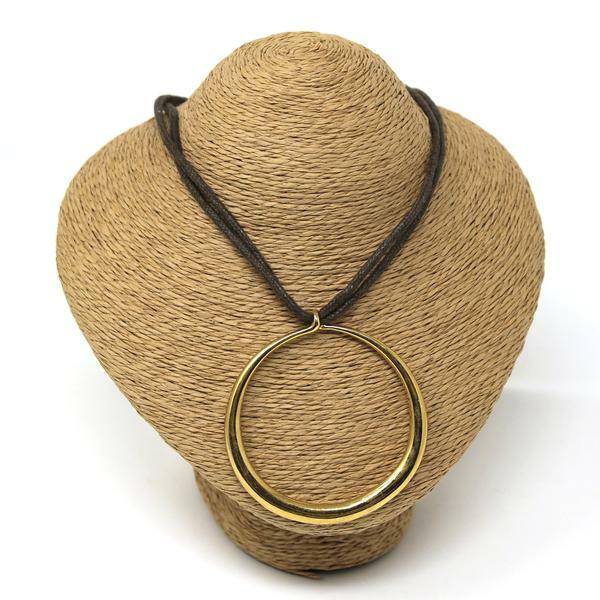 This handmade jewelry display is paper-sculpted and wrapped in woven natural fiber, giving off an earthy charm. The frame is made of wood, so it sure is sturdy. This display’s size dimensions are 6 3/4''W x 4 3/4''D x 6 3/4''H. 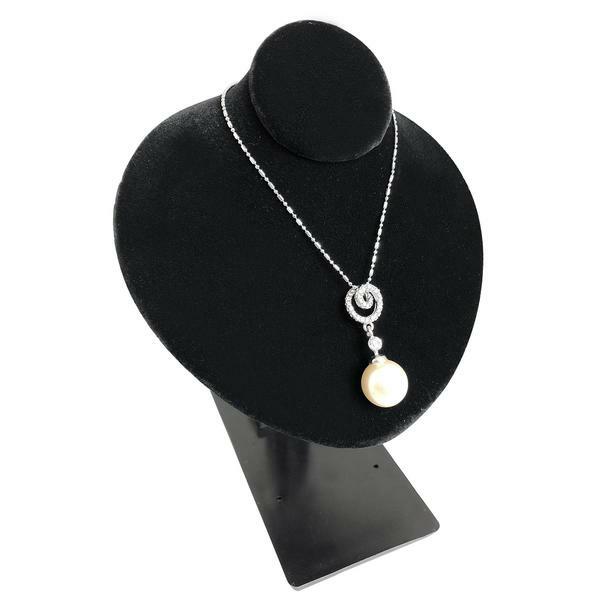 This charming Mini Necklace Bust Display is made of lightweight wood and comes in either black velvet or faux white leather. 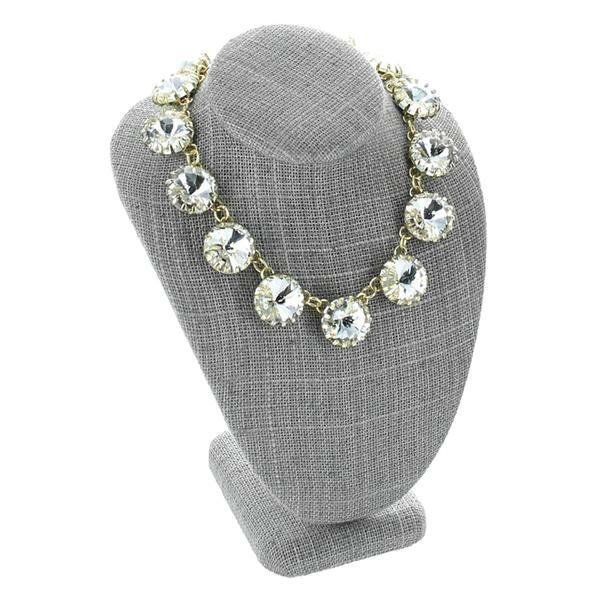 It is the necklace bust that looks perfect for displaying pieces made of metals and those studded with crystals. 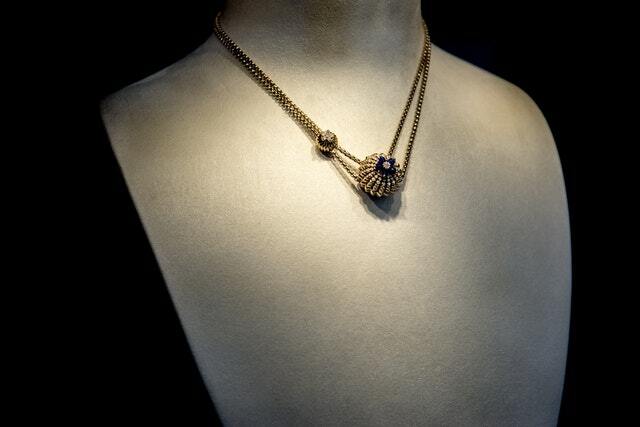 It comes with hooks so you can adjust the length of the necklace on display. The size dimensions of this bust are 2 1/2"W x 1 5/8"D x 2 5/8"H.
The Low Profile Necklace Display Bust is an elegant low-standing bust that is perfect for highlighting a special piece. It is made of wood and is available in either black velvet or white leatherette. It does come with hooks as well at the back for easy adjusting of the necklace. So even if it’s only 5 inches in height, it can display an 18-inch long piece. 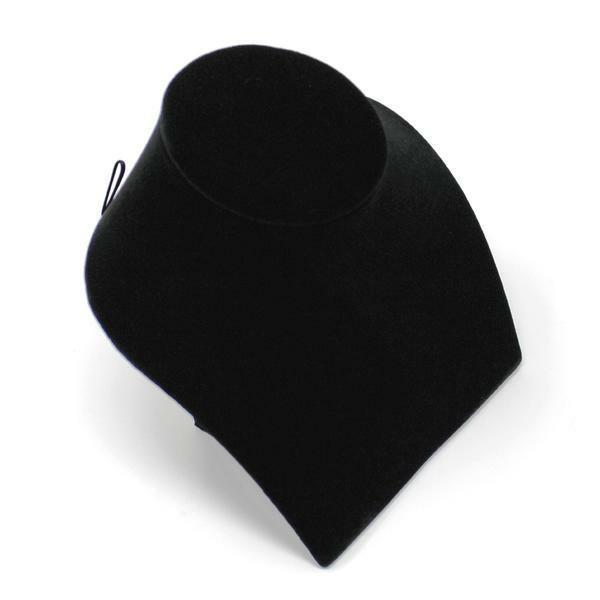 This display bust’s overall size dimensions are 6"W x 5"D x 5"H.
For more small display busts for your chokers and short necklaces, check out NileCorp.com. 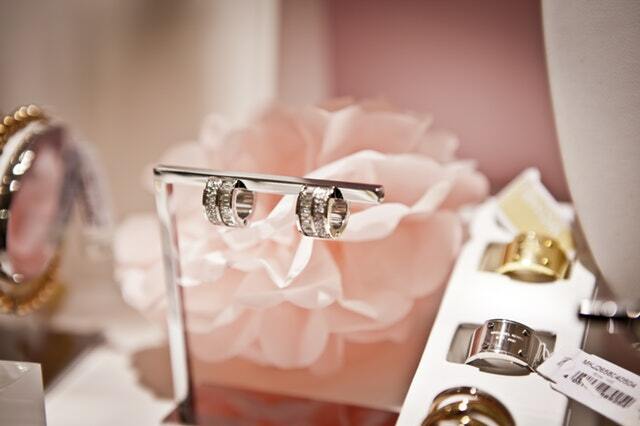 Does your jewelry display have these attributes? A jewelry display is like the billboard of the brand. There is that make-or-break factor whether your customers get interested in your products or not. Given that the average attention span of a customer is now less than ten seconds, your display should immediately catch their fancy. It should be able to entice with just one look or at least make your customers curious enough to take a peek. So how does a display become a winning billboard? 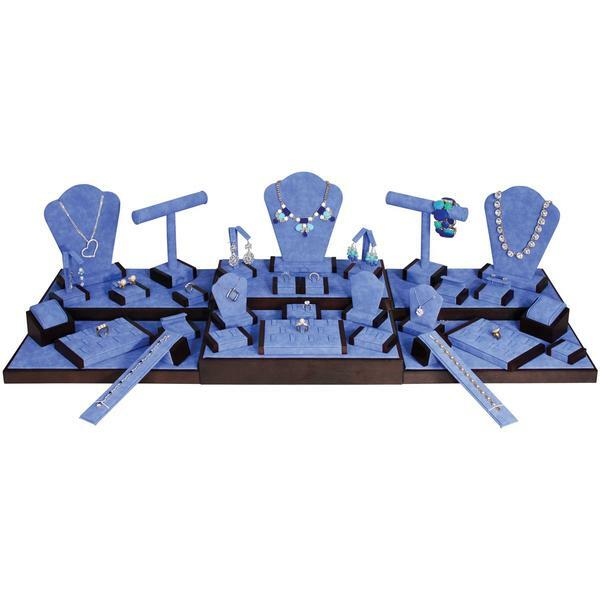 We listed down five qualities of an effective jewelry display that has higher chances of converting. One important attribute is color. Color is pretty compelling; one can make a relatively messy display but still be successful if the tones complement each other. You can go with jewelry displays in monochrome colors, or in shades of a particular palette. Adding a pop of color works well too. 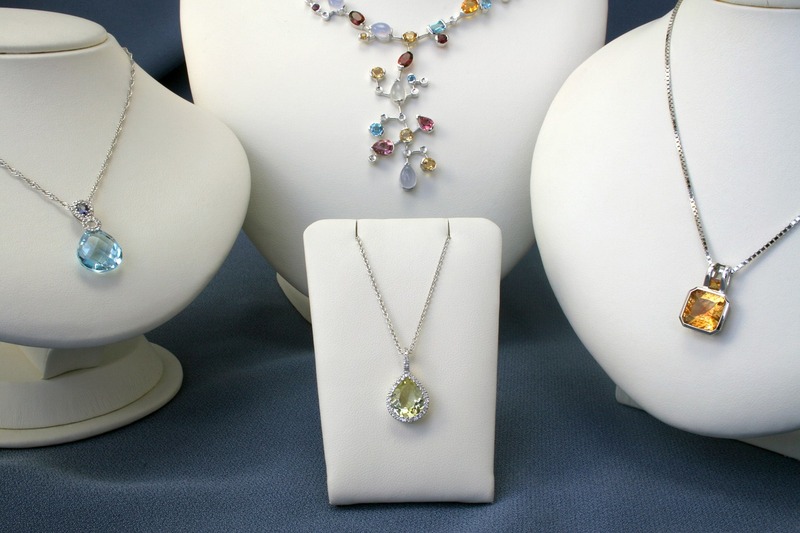 One example is adding a bright yellow necklace display in the middle of other displays in black or darker colors. One that tells a story is effective, especially during the holidays. Creating visual interest is vital, and this can be done by adding decors that tell a story. First, you have to start with the general theme. As an example, let’s go with the 4th of July. You are probably thinking about using blue, red, and white jewelry holders. That’s right, but then, add some more pieces. One is adding some miniature bird cages with their doors open, and hanging some birds from the ceiling. This, of course, signifies freedom. A cluttered display is a big no-no. 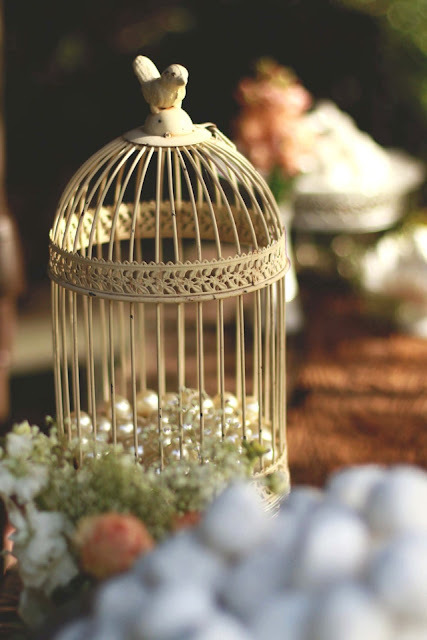 You are going for eye candy, not an eyesore, so avoid cramming a lot of decors with your jewelry displays. Keep them minimal, especially if you are only planning to highlight a particular piece or set. And of course, it goes without saying that your jewelry displays themselves should also be squeaky clean; free from dust, dirt, and fingerprints. 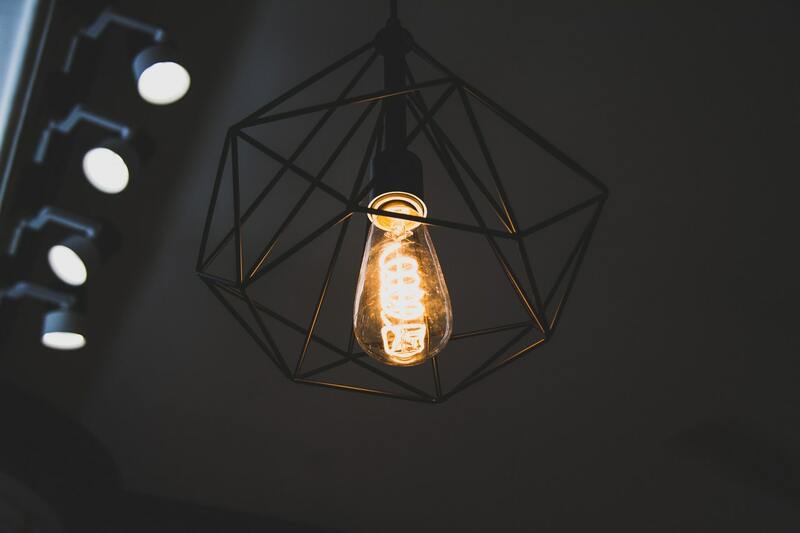 Without proper lighting, a beautiful display will deem ineffective. The positioning and angle of your lights matter too. 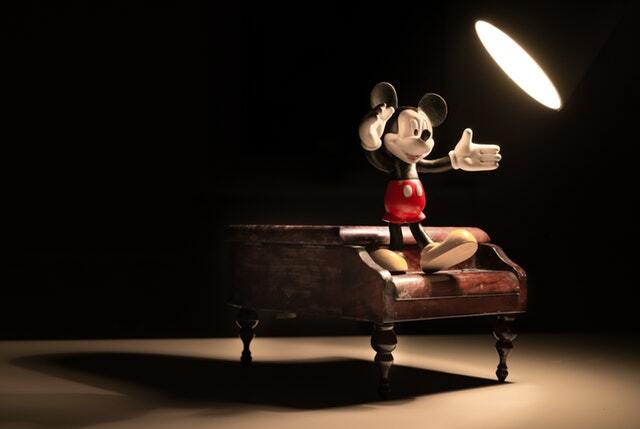 Experts discourage the placement of lights directly above the piece. This is because shadows are created, and the jewelry does not get highlighted at all. The best way to position them is to highlight the jewelry’s focal points. Besides, adding spotlights are ideal for highlighting your new arrivals. A display that has been with the same decor for a whole year will undoubtedly turn off your customers. You cannot entice passers-by with an outdated display. That said, having on-trend decor makes a difference. You can change every couple or so months, or when there is a holiday. Design experts say that the more often you change your display, the more people will be curious enough to check you out. As the saying goes, wherever the eyes go, the feet will follow. 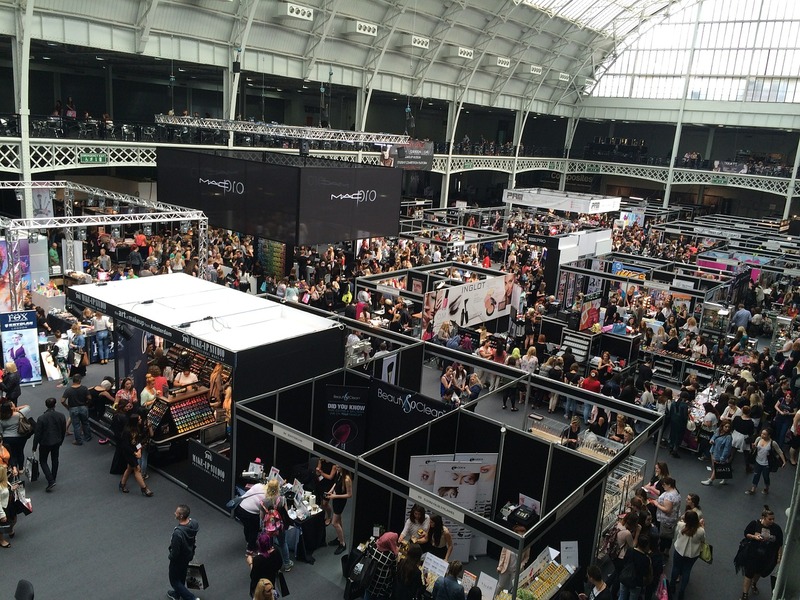 So do make sure that your jewelry displays have all these attributes for you to increase your sales. If you need new displays for your shop, check out NileCorp.com. 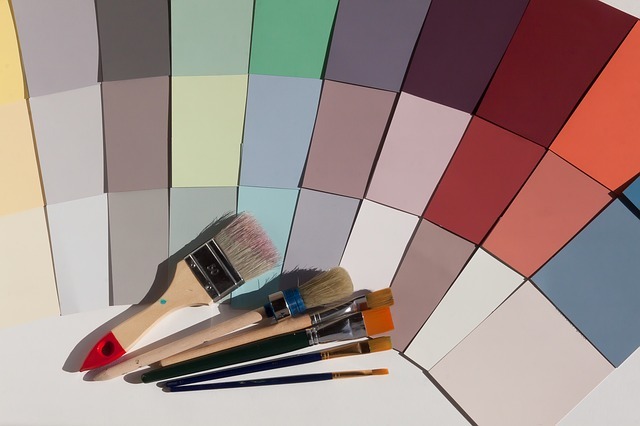 We have a wide selection in various sizes, designs, materials, and colors.